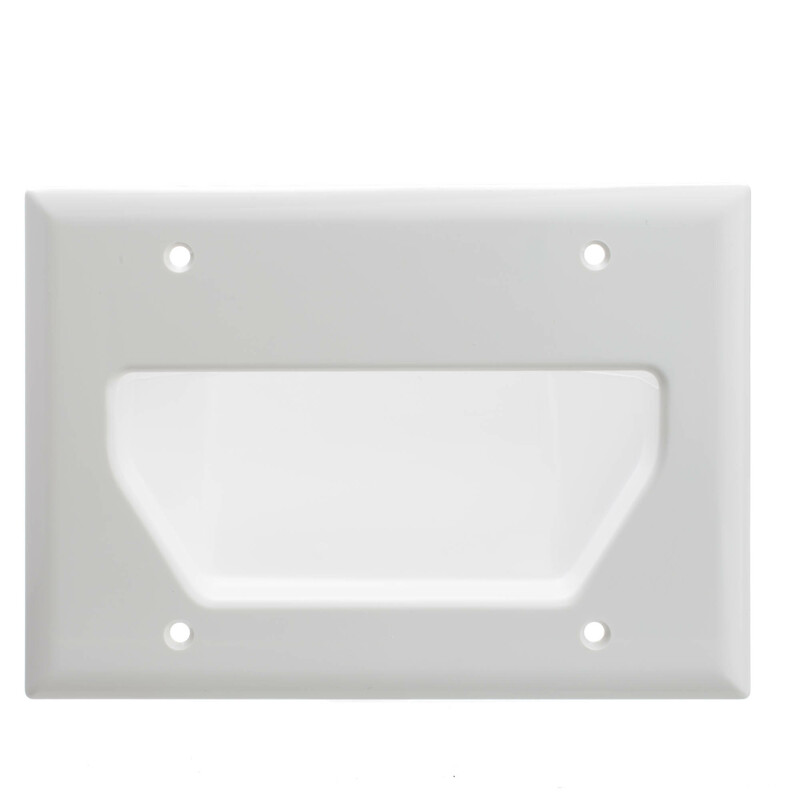 This white triple gang wall plate features a recessed pass through for routing low voltage cables into the wall for a clean professional installation every time. Easily pass any audio/video cable into and/or through the wall. From wall mounted HDTV's to shelf mounted security DVRs and inwall speakers these simple plates allow for easy clean routing of cables in many situations including cramped environments to other locations. 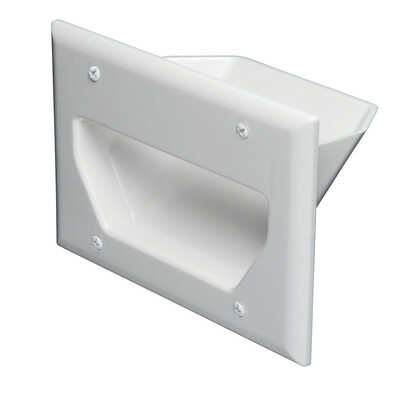 The plate can be installed in both directions to facilitate directional needs.